Obituary of Clifford Thomas Guy, Sr. - R.T. Foard Funeral Home, P.A. Clifford Thomas Guy, Sr., age 83 of North East, MD passed away on July 19, 2018 surrounded by his loving family. He was born on July 28, 1934 in North East, MD to the late John Guy and Edna May (Hammond) Guy. Clifford was the definition of a family man. He went out of his way to provide for his family and made sure that they had everything they needed and more. Family was the most important thing to Clifford and he always made time for his children and grandchildren. 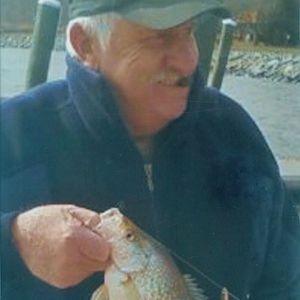 Clifford was a member of United Methodist Church of North East, MD. He was a hard worker and a perfectionist and took pride in his work. He enjoyed hunting and fishing. Clifford also loved playing sports and coached baseball for North East Little League for a number of years. He loved playing cards, especially poker and was a part of the "Marysville Gang". Clifford's favorite holiday was Halloween and he was always coming up with new and inventive ways to scare people. Clifford is survived by his loving wife of 62 years, Judith A. (Penhollow) Guy; children: Cynthia Guy, Clifford Thomas Guy, Jr. (Ann Krach); and John William Guy (Michell); six grandchildren: Clifford Thomas Guy III, also known as Thomas and friend, Lisa Trotto, Lauren Ann Marie Connors (Shamgar), Hannah Louise O'Brien (Charles), Erin Hunter Guy, Mikhaila Li-Dai Clark, Morgan Lin-Li Clark; sisters: Doris Stamey and Georgia Skinner (Wayne); and step great-grandson, Jonah. In addition to his parents he is preceded in death by his siblings: Walter Irvin Guy, Lillian Guy Magraw, John Howard Guy, Allan Raymond Guy, and baby brother who died at birth. A celebration of life for Clifford will be held at the family home on Saturday, August 25, 2018 at 12:00 pm. In lieu of flowers, memorial contributions may be made payable to "North East Little League" and sent in care of R.T. Foard Funeral Home, P.A., P.O. Box 248, Rising Sun, MD 21911. Add your thoughts, prayers or a condolence to Clifford's guestbook. Please enhance this tribute to Clifford by adding your memories and photos.